Pancreatic cancer is among those cancers that are most likely lead to a fatal outcome. Approximately 80% of those affected die within a year of their diagnosis and only 5% survive the first five years of illness. A recent study suggests, combined with chemotherapy, that CBD has benefits for cancer patients; it could greatly increase the chances of their survival. A malignant pancreatic tumor is pancreatic cancer. On average, men of 70 and women of 76 years suffer from pancreatic cancer the most. This disease is relatively rare, fortunately. Pancreatic cancer is usually only found after it has reached an advanced stage. 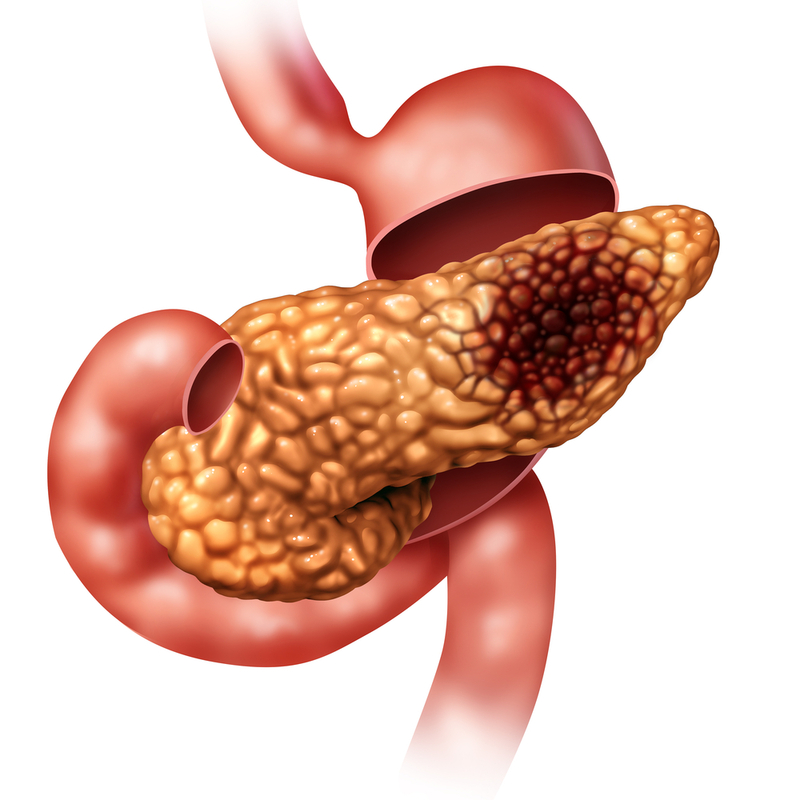 It remains asymptomatic for a long time, and the initial symptoms are like those of the common inflamed pancreas. Abdominal pain, indigestion, weight loss, nausea, and vomiting are symptoms. It is difficult to treat pancreatic cancer because it is often recognized very late in time and grows very quickly. A good prognosis is likely only if the tumor does not spread. Researchers have recently published a study on CBD and its benefits on pancreatic cancer. In one experiment, pancreatic cancer-affected mice were separated and treated differently in four groups. Ten mice were treated only with CBD, eight with chemical gemcitabine, nine with placebo and seven with both medications. The results of the research are good. Placebo mice survived on average 19 days, CBD treatment survived for 25 days and Gemcitabine for 28 days. The group treated with CBD and gemcitabine was nevertheless surprising. Mice of this group have survived, on average, 53 days. Based on this finding, scientists conclude that CBD blocks receptors for a specific gene and prevents the receptors from interacting with other substances which promote cancer cell growth and proliferation. CBD has also prevented the development of chemical tolerance of gemcitabine. CBD has been primarily used to lessen side - effects such as diarrhea, vomiting, nausea, and loss of appetite in chemotherapy so far. The study results now provide additional opportunities. While the experiment was conducted only on mouse and humans, the results are still promising. Similar human outcomes can increase the chances of pancreatic cancer survival by several years. However, research is still needed, including about the interaction of CBD with other medications used in cancer of the pancreas. Therefore, you should always discuss the additional intake of CBD with a doctor. It is also quite important to get authentic CBD products for cancer patients. We are CBD Plus and we have stores in Texas, Tennessee, Arkansas, Oklahoma and growing. Visit our site for original CBD products and start feeling better!